John Krasinski wears a Casio G-Shock G7900-1 watch in 13 Hours: The Secret Soldiers of Benghazi. 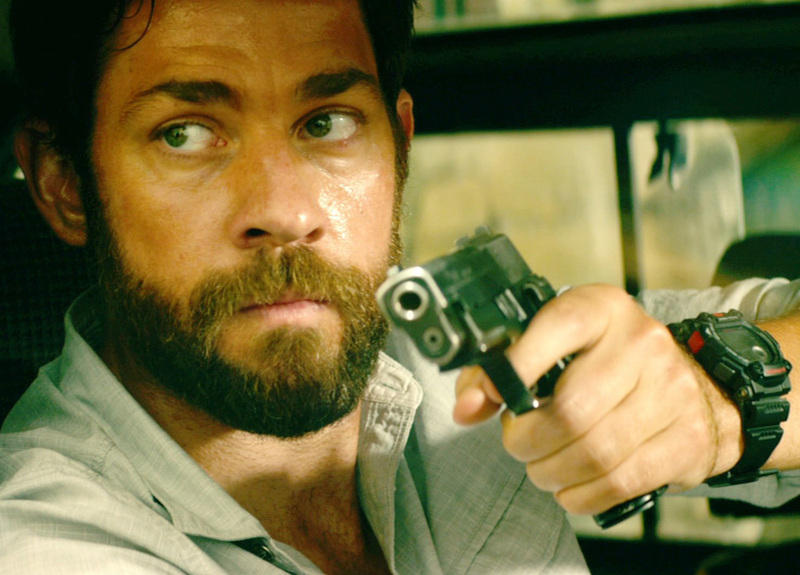 John Krasinski wears a Casio G-Shock G7900-1 watch in 13 Hours: The Secret Soldiers of Benghazi (2016). 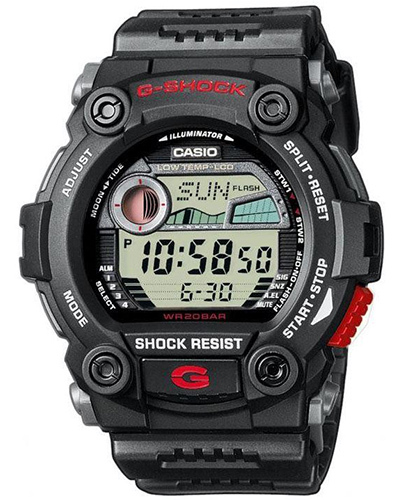 The Casio G-Shock G7900-1 has a black case and red details, and features a large display format, moon data, tide graph, Automatic EL backlight, and extra large buttons for easier operation with gloves. The watch is avaialble on Amazon for $70.